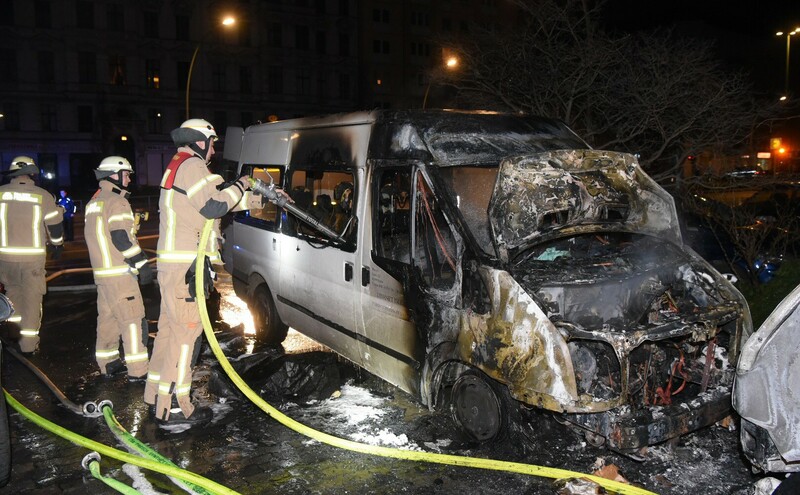 With this statement we, the Revenge Commando Kendal Breizh* claim responsibility for the arson attack against a vehicle belonging to the DITIB (Turkish-Islamic Union for Religious Affairs) in Schöneberg, Berlin on the night of Friday the 19th of February, 2018. The DITIB is not just a simple mosque organization. The DITIB acts openly as the mouthpiece for the fascist AKP regime in Germany. Organizationally, the union is tied to the Turkish religous authority Diyanet from whom it receives all orders and instructions. The contents of their sermons are written in Ankara and their preachers are all trained in Turkey. At this moment, the fascist regime of Turkey and the parliamentary ‘democracy’ of the Federal Republic of Germany, working hand in hand as NATO partners, are fighting against the social revolution in the Kurdish regions and other territories of Syria. Therefore, this revolution must bring the war home to the German cities. Here DITIB also recurits among young people to prevent them from living free lives. They are then more likely to become servants of Erdogan or slaves of capitalism than to rise up. We will continue our actions against the enemies of the liberation struggle in Kurdistan and the Middle East. Victory to the social revolution in Kurdistan! 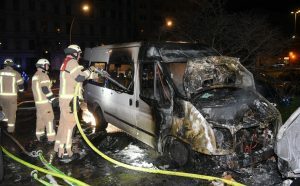 The defense of Afrin begins in the streets of Europe! *Note from Insurrection News: Kendal Breizh was an internationalist freedom fighter from Breton who was martyred fighting alongside YPG forces against the Turkish Military in the Jindires district of Afrin on February 10, 2018.